® 2002 Films on Disc Stuart J. Kobak ALL RIGHTS RESERVED. The Golden Bowl has been cited as an ISF Reference DVD. Click the ISF image for the complete list of ISF cited DVDs. Films on Disc has been sited by Classic Movies as one of their Best New Links. The editors of Britannica.com have selected Films on Disc as one of the best on the Internet when reviewed for quality, accuracy of content, presentation and usability. 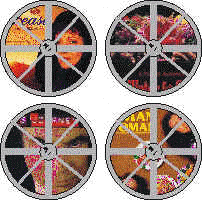 Films on Disc Internet Magazine includes DVD reviews and DVD feature articles, plus Film, Movie Poster and DVD Links. 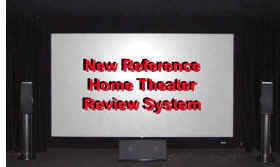 Films on Disc has completed a new reference home theater dvd review system. For details about the system and our review philosophy, click on the image. John Frankenheimer directed two of the best political thrillers ever chilled for film. For a look at his career with poster images, click above. Spread your table with an array of movies dishing out food in varied glory and disgust. Check out some of these gems that provide shimmering food images. Click on the image for more.